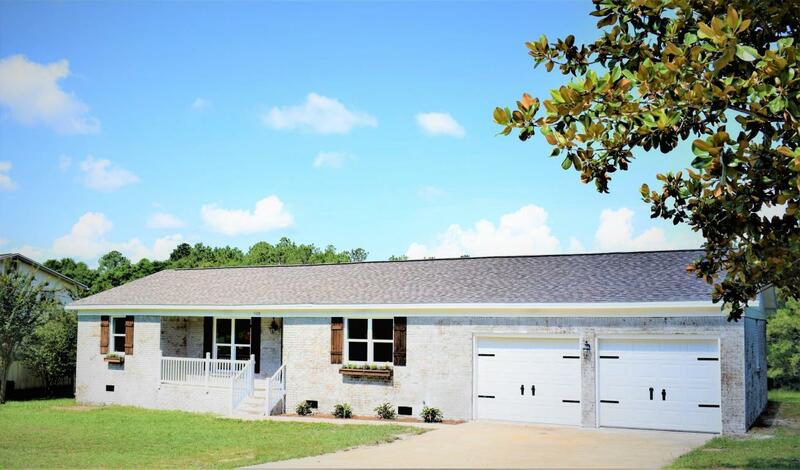 Beautifully remodeled brick home on an acre Lot overlooking a large pond.Tucked away in a quiet neighborhood off HWY 90. Minutes from Downtown and I-10. Home features, new roof, windows, doors, CaliVinyl GeoCore completely waterproof vinyl flooring throughout, oversized 2 car garage, custom vanity, quartz countertops, and a new deck.